South African Revenue Service commissioner Tom Moyane said that KPMG's decision to annul its report that was used to fire the finance minister was "abhorrent, unprofessional and unethical conduct"
JOHANNESBURG - South Africa's tax service said Monday it may sue auditor KPMG after it retracted a report it wrote that was used by the president to fire the former finance minister. South African Revenue Service (SARS) commissioner Tom Moyane told a press conference that KPMG's decision to annul the report that was requested by his department was "abhorrent, unprofessional and unethical conduct". 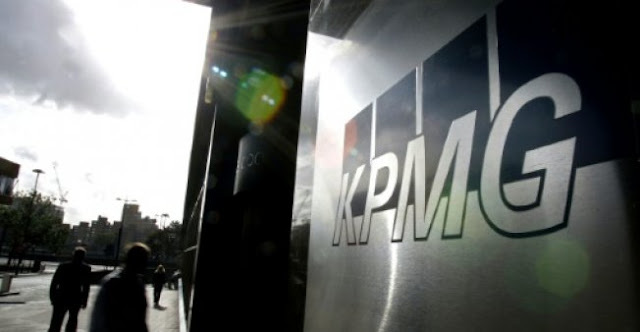 KPMG South Africa last week cleared out its senior management, offered to repay the report's $1.7 million (1.4 million euros) cost as well as retracting the dossier which probed an intelligence unit within the tax service. The final document appeared to accuse the former SARS chief who went on to be the country's finance minister, Pravin Gordhan, of having knowledge of the allegedly rogue team. KPMG said in a statement on Friday that the evidence it had received did not support those findings and apologised for its work. The now withdrawn report was used by President Jacob Zuma as grounds to sack Gordhan at the end of March, triggering a collapse in the rand currency and two separate credit rating downgrades. "SARS sees KPMG's behaviour as nothing else than a dismal attempt to portray SARS and its leadership as incompetent, inefficient, and involved in a witch-hunt activity," said Moyane, who insisted that only SARS could nullify the report's findings. He added that KPMG's "abhorrent, unprofessional and unethical conduct" had left him with no option but to consider "instituting legal proceedings against KPMG for reputational damage". SARS may also seek to have KPMG banned from all work for the South African state as a result of the spat, said Moyane, who also threatened to report the auditor to local and international regulators. South Africa's tax service said Monday it may sue auditor KPMG after it retracted a report it wrote that was used by the president to fire the former finance minister.